In a split opinion, the Federal Circuit has rejected the PTAB’s anticipation and obviousness decisions – finding that the Board erred in holding that the key prior art reference inherently disclosed the an “inlet seat” defined by a “valve body” of the claimed drain assembly. Beyond that, in walking through the prior art, the Federal Circuit found a major problem with the PTO analysis — basically that the prior art’s “valve body” was disconnected from the inlet-valve (that inherently contained an inlet seat). Thus, according to the court, the valve could not “define” the inlet seat as required by the claim. 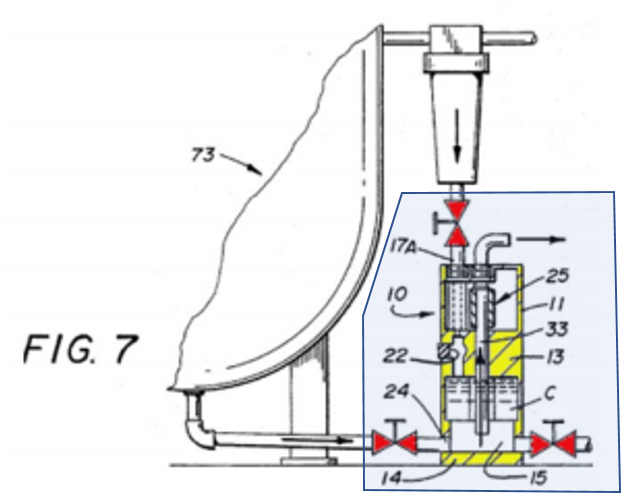 Figure 7 avove from the prior art shows the issue: The portion marked in yellow defines the claimed valve assembly and the top red valve is the location of the required inlet seat. The claim though requires that the valve assembly “define” the valve seat. I’ll note here a major problem with the analysis – why not just define the “valve assembly” of the prior art as including the upper valve (as I’ve done with my redrawing of Figure 7 below)? I mentioned above the split opinion. Both the majority (Judges O’Malley and Lourie) and the Dissent-in-part (Judge Wallach) agreed that the PTO had failed to show anticipation. The difference came with the result – the majority reversed while the dissent would have taken the lesser action of vacating the PTAB ruling. When an agency fails to make requisite factual findings or to explain its reasoning, “the proper course, except in rare circumstances, is to remand to the agency for additional investigation or explanation. The reviewing court is not generally empowered to conduct a de novo inquiry into the matter being reviewed and to reach its own conclusions based on such an inquiry.” Fla. Power & Light Co. v. Lorion, 470 U.S. 729, 744 (1985). By reversing the PTAB’s determination [of anticipation] the majority engages in the very de novo inquiry against which the Supreme Court has cautioned.